BH Cosmetics 80% Off Clearance Sale! 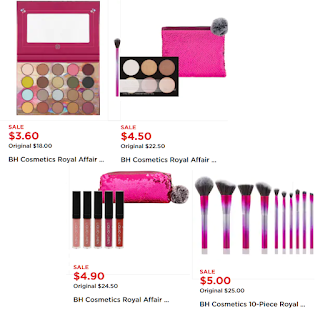 Royal Affair 20 Piece Eyeshadow Palette $3.60 (Reg $18), Pallet & Brush Set $4.50, 5 Piece Liquid Linen Lip Set $4.90, Brush Set $5 + Free Pickup at Kohl's or Free Shipping With $75 Order. BH Cosmetics is nice quality and you won't see them this cheap again so stock up!